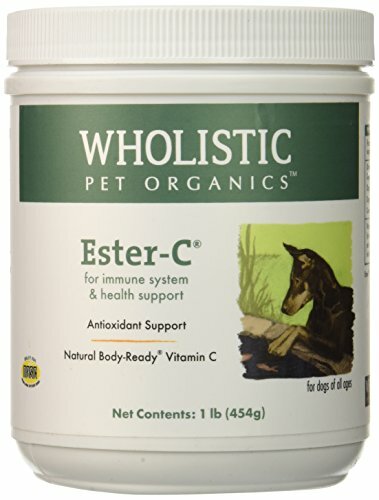 Wholistic Ester C is a patented, non-acidic, Body-Ready form of Vitamin C that is easily absorbed for maximum effectiveness over other forms of Vitamin C. Dogs do produce some Vitamin C, but not nearly the amount that may be necessary for peak health. Under periods of elevated stress, Vitamin C is rapidly depleted. 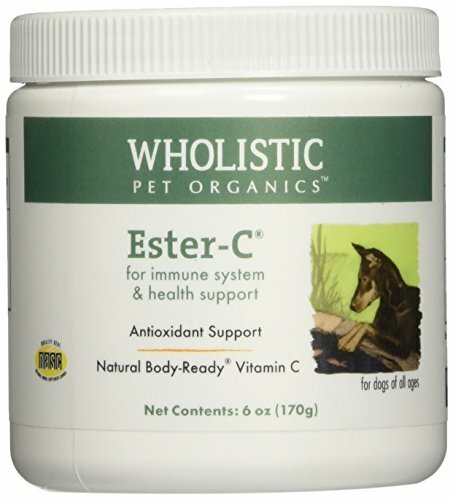 Wholistic Ester-C helps support a strong immune system, healthy joints, and optimum health for your pet!. Vet Classics Cranberry Comfort Powder (100 gm)Ease Your Pets’ DiscomfortVet Classics Cranberry Comfort Powder is manufactured by Vet Classics, a company focused on providing the best products for pets. Each product is formulated by experienced veterinarians with specialized combinations to meet the diverse needs of your pets. 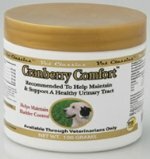 Vitamins, supplements, and training aids are just a sample of the product line available to veterinarians.Vet Classics Cranberry Comfort Powder was designed specifically to support the healthy function of the urinary tract. It is appropriate for both dogs and cats. 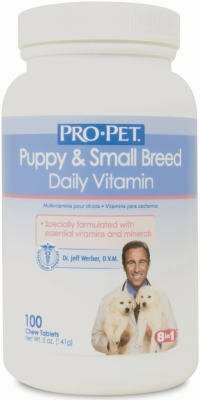 Initial use occurs in twice daily doses, which reduces to twice a week, as advised by a veterinarian. BenefitsCranberry Comfort Powder is available in a convenient 100 gram quantity and the economical 1 lb. 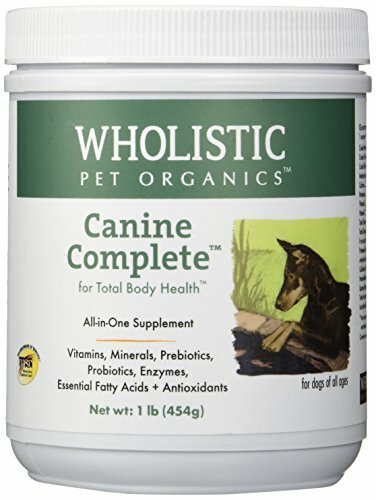 container.Cranberry Comfort Powder contains cranberry extract, vitamin C, marshmallow, Oregon grape root, and Echinacea for all natural comfort and relief.Cranberry Comfort Powder and other products contain the ingredients to promote and active, healthy lifestyle for your pet. 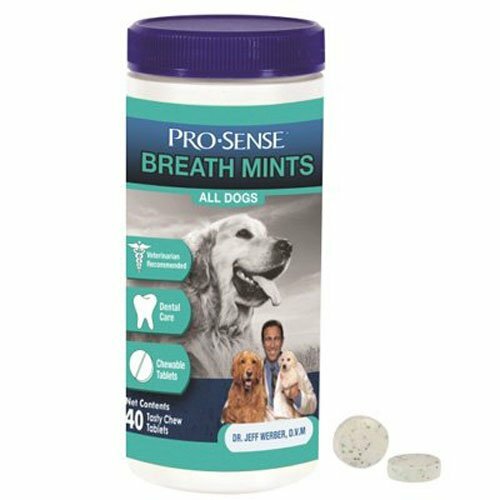 Pro Sense Breath Tabs work to safely and effectively maintain your pet’s oral health. These easy-to-administer chews encourage natural chewing action to help reduce tartar build-up and feature a tasty mint-flavor that dogs love. 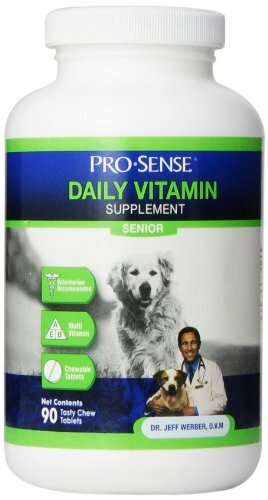 Pro-Sense Senior Multivitamins provides all of the essential vitamins and minerals beneficial to your senior dog’s life stage. 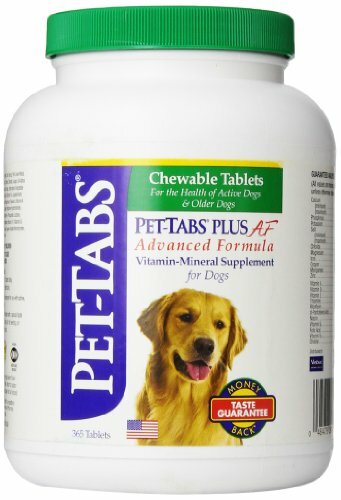 These tasty, chewable tablets include B vitamins for maintain energy levels and supporting metabolism and are formulated especially for senior dogs. 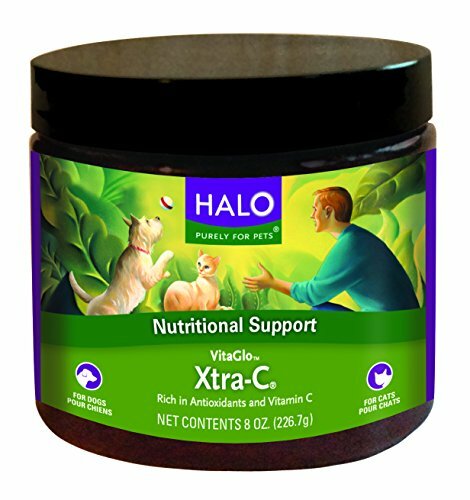 Halo’s pet supplements for dogs and cats let your pet thrive with wholesome, all-natural ingredients often lacking in pet food. A patented form of vitamin C in apolyascorbate form that is more efficiently absorbed and retained than ordinary vitamin C. Does not irritate the GI tract and provides anti-oxidant properties for all ages and species. 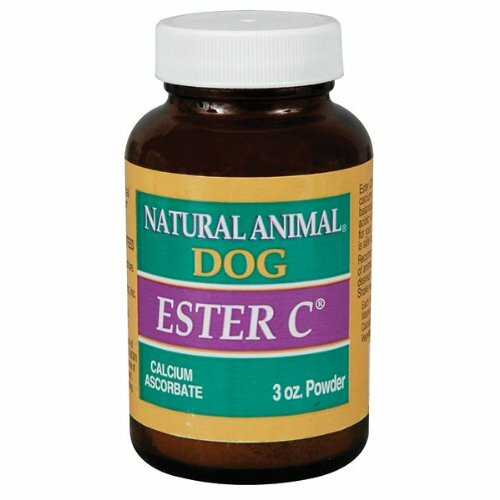 Recent clinical studies have demonstrated the effectiveness of Ester C in providing dogs symptomatic relief from pain and stiffness associated with chronic inflammation of joints and muscles. Kala Health Arthrix 360 Tablets. This Is a Powerful Chewable Joint Support Supplement. 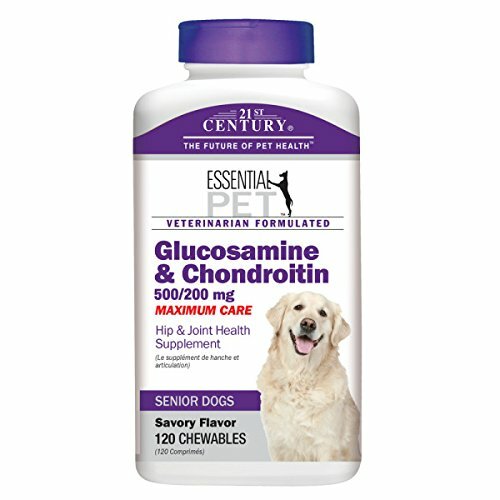 All ingredients (MSM, Glucosamine, Chondroitin, CMO, Ester C and Minerals) Are Sourced and Made in the USA. 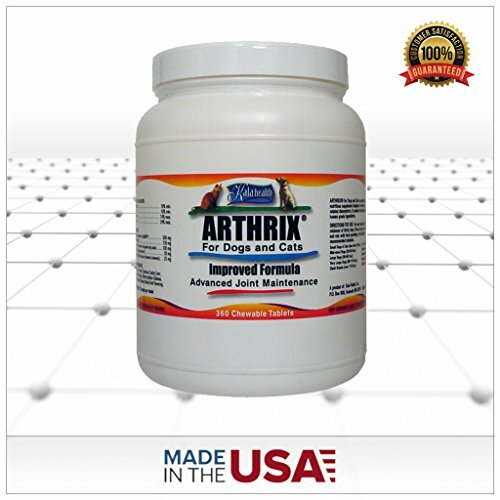 ARTHRIX for Dogs and Cats is an exciting combination of distinct nutrients which, used in combination, are highly beneficial for the long-term maintenance of age-related or hereditary joint problems.